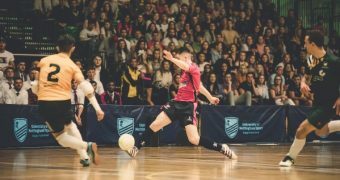 For novices, who will be reading about Futsal and about you for the first time, can you please give us a brief summary of who you are and how you first came across Futsal and got involved? My name is Liam Palfreeman and I am 23 years old. 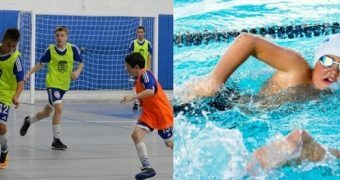 I have been playing futsal since I was 16 but didn’t take futsal seriously until I was 18. However, it was at college when I was doing a football course that I first came across Futsal. 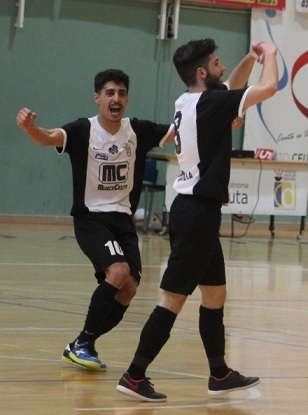 Craig Adey, My teacher at the time, asked me if I would be interested in playing futsal for his national league team called Team Newbury and to be completely honest I just thought why not give it a go. 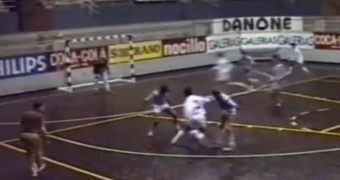 My first game was against Loughborough University Futsal Club who was one of the best teams at the time, the squad included England Internationals and we got beaten heavily 13-2. Some people would walk away from that experience and think to not go back and give it up but I came away from the game really enjoying it which was strange considering the result. 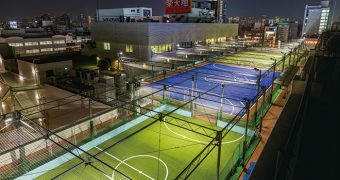 Why did you decide to continue playing Futsal and how did you know that this was the sport for you? 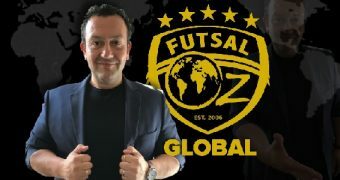 I decided to take futsal seriously when I was 18 and joined Baku United who was the only professional team in England training every day with some of Spain’s best players who have played for Spain’s national team even one player had won the FIFA Futsal World Cup. We had a good coach called Chema Jimenez who gave me the chance to join the team. 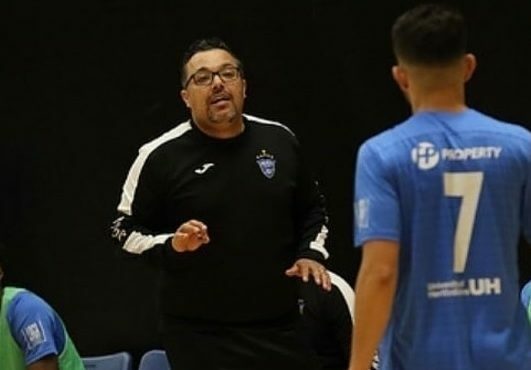 I joined the club for 6 months but in that time, I felt like I learned what some people might in 5 years about Futsal tactics and the technical needs in Futsal and I will always be thankful to Chema, the staff and players for that opportunity. 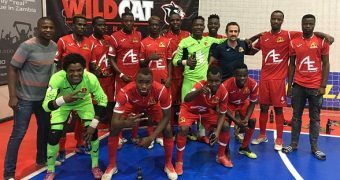 I went from a football player to a futsal player at the end of that season and after winning the league I was offered a contract with Baku but unfortunately, it wasn’t to be and they ended up losing their main sponsor. 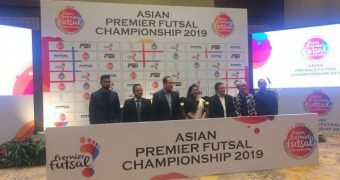 After that incredible experience, I thought I was good enough to be able to make futsal my full-time job. 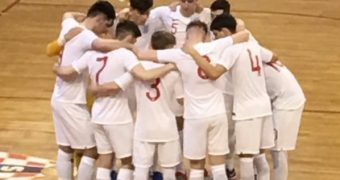 You are now a part of the England National Futsal team, how has this experience benefited your development? 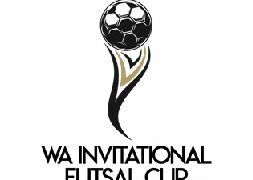 I am currently into my 3rd year with the England International Futsal team and it has benefited my development massively. It’s the biggest stage playing for your country and you play against the best players in the world so this only helps to develop me as a player. 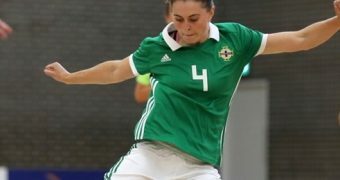 Before I got into the squad, I used to think I was good enough and playing well in the National Futsal League but the truth is, it doesn’t matter how good you play in the English league, the international game is completely different and looking back on it now, I probably wasn’t ready when I thought I was but we all have to start from somewhere. Italy was your first destination when you left to play for Città di Falconara. What was that experience like, what did you learn that helped your development and why did it come to an end? 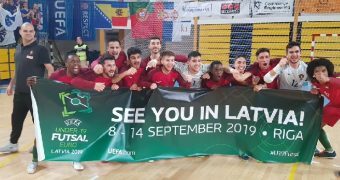 Ciita di Falconara was a great experience, being a professional, training 3 to 4 times a week, playing in proper futsal venues with a good number of spectators, I loved every moment of it and they have great people in charge of the club and I had great teammates. In Falconara, I would I say I learned more about myself as a player and what I mean is, in Oxford and Baku I was a good player in an amazing teams so I never had the pressure of being the player who needs to step up whereas in Falconara, I was one of the best players so it was me who needed to score the goals or make them and I enjoyed this role, it gave me more confidence. The experience came to an end because I decided that if I was going to stay in Italy I wanted to play at a higher level as I was playing Serie C1 and I wanted to be playing Serie B or higher. I had a few offers from Serie B clubs but nothing I thought was worth taking and ended up going to play in the UEFA Futsal Cup now known as the UEFA Futsal Champions League with Helvecia. I liked the direction Helvecia was going in so that’s why I ended up signing with them. 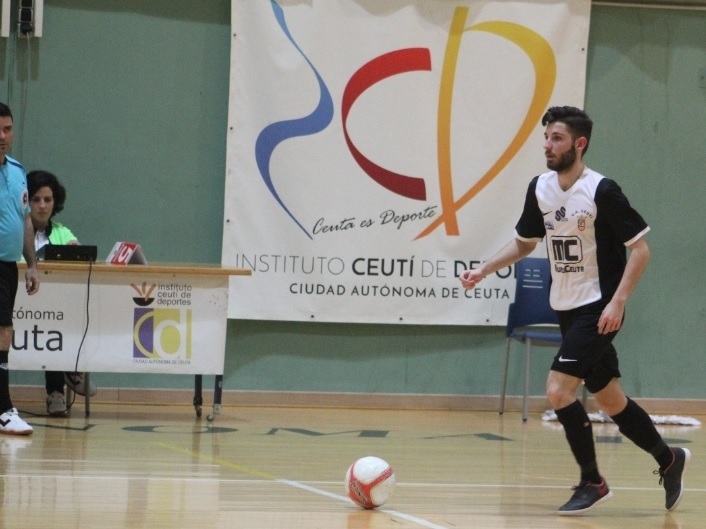 You are currently playing in Spain for UA Ceutí FS in Spain. How did this come about and why did you decide that this was the move for you? The offer came as a surprise as I had no intentions of leaving Helvecia but old teammates of mine called Carlos Munoz and Keny asked me if I would be interested to come to Spain. It was a tough decision as I was happy at Helvecia and didn’t really want to leave my family or my girlfriend but the fact that it was a team from Spain where the best futsal is played in the world and a club that is trying to get to the Second Division, it was an opportunity too good to turn down. Therefore, I accepted but I have to thank Helvecia because for me to sign for UA Ceuti who couldn’t wait 30 days for the international clearance, Helvecia helped speed up that process. I am also thankful to Carlos and Keny for getting me the opportunity. How has your transition been in Spain in terms of cultural differences, language etc especially in train? Not too bad because I’m used to being in teams that have mainly Spanish players at Baku and Oxford. Of course, there’s a language barrier but there are a few guys in the team who speak a little bit of English so if I don’t understand something they translate it for me. When I’m playing I can speak enough Spanish to communicate with my teammates and when the coach is speaking and using the tactics board, I understand everything. The only problem I have is outside of futsal, I struggle to speak although I can understand a lot. Comparing your own stage of development to the league you are playing in, what improvements have you been working on and what steps do you want to take next? I’ve been working a lot on my physicality in the gym 3 to 4 times a week on top of training 4 times a week also. Naturally, I am getting fitter as the physical demands in Spain is very high as most of the teams press for the whole game which was something I struggled with in the first month. At training, after like 2 minutes of a training game I needed to come off but now I’m getting used to it and I feel a lot fitter and shaper. My main goal right now is to help UA Ceuti try to get promoted to the second division and we are currently top of the table. From a personal point of view, I want to try to play in the first division in Spain and I know some people will think that is impossible but I’ll do my best and see what happens! For young players reading this article, what would you say to them about going abroad and how can they make this possible? I’ll start with the negatives, if you’re looking to go abroad, firstly, I’d say make sure you have something to fall back on because when you are playing abroad nothing is guaranteed maybe you don’t enjoy it, maybe the team decide that they actually don’t want you anymore, and in futsal its common that teams lose their sponsorship in the lower levels. Obviously, being a professional sound’s great but it’s not easy leaving your friends, family and loved ones behind for 7 to 8 months and make sure your 100% committed to it. 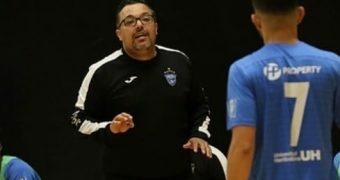 Although, having said that, I absolutely love being a professional and enjoy all the challenges that come with it and definitely recommend anyone who is passionate about futsal and wants to improve that they should go, try it, it’s a good experience and you will be a better player and person for it. To make it happen, the most important is videos as all agencies and clubs will ask you for a video of your performances so collect as much footage as you can. Your club is having a successful season with the end of the season in sight, what are your hopes for next season? I don’t know what will happen next season, all my focus now is helping UA Ceuti win the league, get to the playoffs and hopefully into the second division. 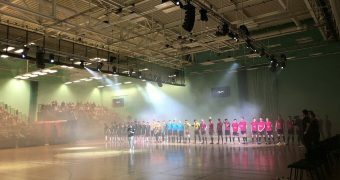 If you like this article and would like to keep updated on Futsal news, developments etc then please submit your email below in the Newsletter section. 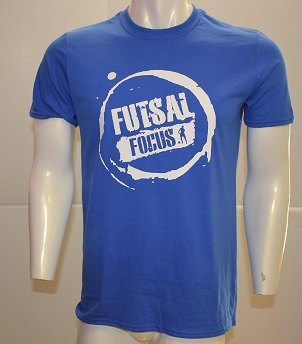 Plus by clicking on the Subscribe to Futsal Focus option on the header or via the home tab.